Three billion people worldwide still cook on open fire, requiring huge amounts of wood, charcoal and other biomass fuels. But these types of inefficient cooking methods have disastrous effects on health and lead to environmental degradation. Indoor air pollution and related health problems result in nearly 4 million deaths each year, primarily affecting women and children. 66% of the population of sub-Saharan Africa does not have modern energy. African Clean Energy’s mission is to provide off-grid household energy solutions to people in Sub-Saharan Africa and elsewhere in the developing world. A common misconception Judith Walker, ACE's director of operations, encounters is that people in the developing world are unwilling or unable to pay for high quality products, and that the latest technology can't be used in these markets. However, ACE has been able to create a product that has major significance for the lives of their customers by using the best possible technology and finding ways to be more efficient. Providing the highest quality product possible has always been part of their goal. "Our main focus is on the customer," Walker said. "If you're able to apply the tech that's available you're able to help people so much more," Walker said. 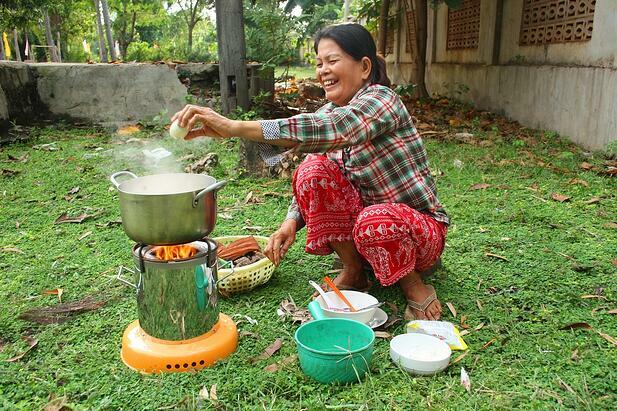 African Clean Energy (ACE) developed the ACE 1, a cookstove that produces virtually no smoke and can burn a variety of biomass fuels. The stove also has a USB port and solar panel, and the generated solar energy can be used to charge phones and provide LED lighting. The ACE 1 is not only one of the highest tech stoves available, it is also extremely efficient and safe. ACE provides a fully integrated chain of manufacturing, sales and after sales care and maintenance in Lesotho, Uganda, and Cambodia. ACE uses Device Magic mobile forms to operate more efficiently as they conduct data collection, manage the supply chain and maintenance work, and complete the sales process with their customers in remote areas of the developing world. Watch the video to hear how Device Magic is helping African Clean Energy fight indoor air pollution in the developing world. ACE has in-house sales teams in Lesotho, Uganda, and Cambodia, who travel around remote areas to demonstrate and sell the ACE 1 stove. This type of a sales process is generally very paper heavy, lengthy, slow moving, and expensive, said Judith Walker, ACE's director of operations. By using mobile forms instead, the sales team is able to collect data and complete their sales process more efficiently than they did when using paper. Sales forms are completed faster, more accurately, and don't run the risk of being lost on the road. With the majority of her team in Lesotho, Walker, who is based in Amsterdam, didn’t have a fast way to get data and information back from them, if she received it at all. Without having access to this data from her sales and manufacturing teams, Walker was unable to process or learn from it to find ways to improve operations. Mobile forms ensured that all of the necessary information was being collected and sent back to Walker's office in real-time. “Being on site is vital for data collection, otherwise people make stuff up, or forget to ask a question,” Walker said. Walker even uses geo-tagging to see exactly where a question was answered. Taking advantage of technology allows ACE to reach their customers in remote areas, while simultaneously completing data collection and research efforts. ACE uses Device Magic to collect data on the baseline in which customers live. This data includes household size, where they are located, how much is being spent on energy, as well as how else money is spent. Often research about these areas is limited or outdated. “We’re able to gather our own data now and learn from it, which is invaluable. We can manage data collection ourselves,” Walker said, instead of relying on outside research organizations. "All you need is a smartphone and an app and that's it," Walker said. ACE has built up a database of 6,000-7,000 of their customers, and are able to share the results and data they have collected to help others in the industry. Energy poverty, where over 25% of income is spent on fuel, is a major problem across Cambodia, Lesotho, and Uganda, and 70% of the population in these countries doesn’t have access to energy. The ACE 1 costs $100, which is a high upfront cost for people in these developing countries. The ACE sales team conducts an energy expense survey using Device Magic with potential customers prior to a purchase. This survey tracks how energy is being used by the customer and how the money spent on energy could be used more effectively. One common expense is charging cell phones. Although the majority of ACE's customers don't have access to electricity in their homes, they sometimes have access to it in nearby towns, where it can be very expensive. People will often pay around .70 cents to charge their phone, and with several charges needed each week, this expense can add up to $5-6 per month. Using calculated questions on the survey form, ACE sales can show the customer what they would save by purchasing the ACE 1 based on the answers they’ve given. Collecting this data through mobile forms allows customers to understand immediately what they're spending on energy and how they would be able to afford the ACE 1. The ACE 1 reduces the amount of fuel needed by 70% compared to open fire, resulting in a 50% savings in fuel costs compared to a charcoal stove. 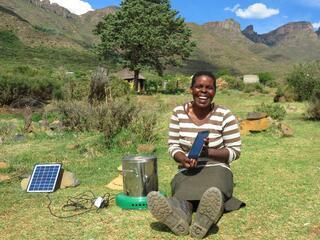 ACE has seen an 81% reduction in energy expenses in Lesotho by using the ACE 1. This enables customers to afford to pay for the product with the money they are saving on fuel and energy. ACE works with KIVA to crowdsource funding that allows customers to purchase the stove on credit and pay it back as they save. This is also why completing data collection with mobile forms is so important. "It means we can see where the process is working and where it isn't, and why. Why aren't they [customers] saving enough money to pay for it [the ACE 1]," Walker said. The ACE 1 is manufactured and distributed directly to customers from ACE's factory in Lesotho. ACE uses Device Magic to complete reports and manage the supply chain more accurately. 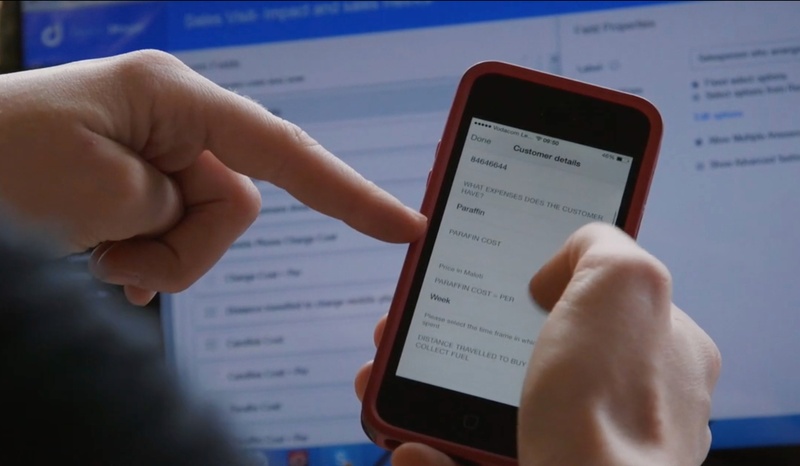 By using Device Magic, ACE can better track when components arrive and leave the warehouse and update records in Salesforce by using the Salesforce Destination. ACE also provides maintenance for customers. With the Device Magic form used for maintenance, Walker can track what component was replaced and make sure it matches what actually left the warehouse. This data also needs to be recorded and matched with payment records in Salesforce. “We’re always looking for ways technology can help us to be more efficient,” Walker said. "There's a reason I like Device Magic so much; it just always works. For any issue that I've ever had there's always a lot of attention," Walker said, "if you have any questions, in five minutes someone is chatting to you helping you fix it. For me, that was really very positive." By using Device Magic, “I could keep the process much leaner,” Walker said. Taking advantage of technology allows ACE to provide a higher quality product, while keeping the cost down for their customers and giving them the best possible solution available. Ready to start using technology to make your business more efficient? Get started now.